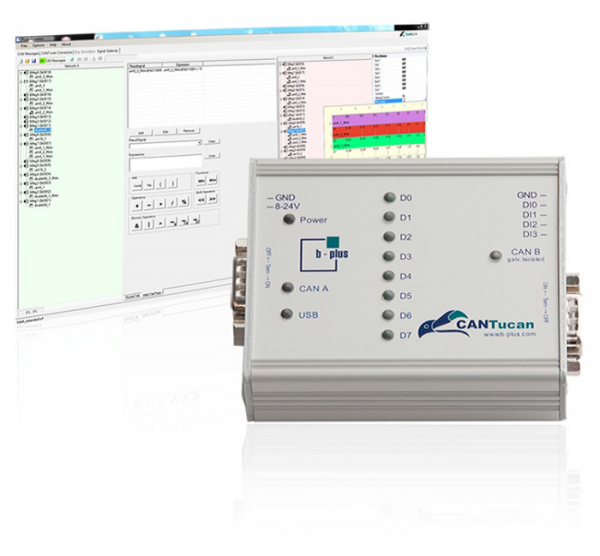 Product information "b-plus B10251-C2C-002-0101 - CANTucan SGTR 2.x"
CANTucan is designed for the use in development, test and diagnosis environment for communication networks in cars, trucks and laboratories. After the configuration CANTucan runs stand-alone and can be used without a PC. Related links to "b-plus B10251-C2C-002-0101 - CANTucan SGTR 2.x"
Customer evaluation for "b-plus B10251-C2C-002-0101 - CANTucan SGTR 2.x"